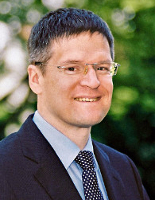 The Institute of Physics (IOP) and the German Physical Society (DPG) have jointly awarded the Max Born Prize to Christian Pfleiderer of TUM’s Physik-Department. Christian Pfleiderer’s pioneering discovery consists of an exotic magnetic phase in chiral magnets. These contain a lattice of magnetic textures called Skyrmions. Pfleiderer showed that these textures can be manipulated by electric currents of extremly low current density. 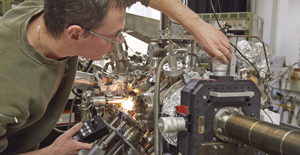 This opened up a new field of research, which attracts many groups around the world and offers fascinating applications of spintronics. Christian Pfleiderer studied physics in Tübingen and Denver. He acquired his doctoral degree from the University of Cambridge where he joined the group of Prof. Lonzarich between 1990 and 1994. Subsequently he worked as a postdoctoral researcher at the Atomic Energy and Alternative Energies Commission (CEA) in Grenoble (1994-1996) and headed a Helmholtz junior university research group in Karlsruhe. 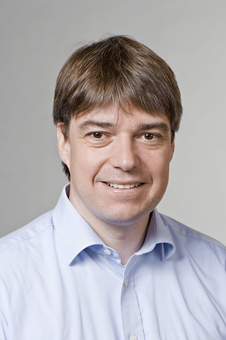 In 2004 he was appointed at TUM as associate professor of magnetic materials and in 2014 as full professor of topology of correlated systems. 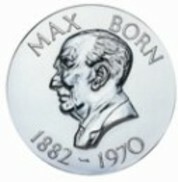 The medal that will be awarded in London in 2016 depicts Max Born. The Institute of Physics and the German Physical Society instituted this award in 1972 to commemorate Max Born and to cement the relationship between the two institutions. The award is made for outstanding contributions to physics. It is awarded alternately to a physicist selected by either of both institutions. The award consists of a silver medal and is accompanied by a prize of €3000 and a certificate. 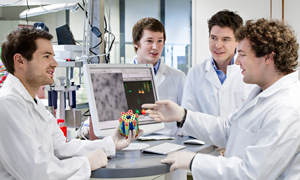 Previous awardees at TUM’s physics department are Wolfgang Kaiser (1982) and Gerhard Abstreiter (1998).